Mayor Rahm Emanuel's record $588 million property tax hike sailed through the City Council today with only 15 aldermen voting against it. The hike is the centerpiece of Emanuel's bad-news budget that also imposes a fee on garbage collection, a tax on e-cigarettes, increased fees on taxis and ride-sharing companies, and a new tax on Internet-based services like Netflix. "I represent a very diverse community," said Ald. Harry Osterman (48th Ward), who voted no on the budget. "I am very concerned about the effect of the property tax on small businesses, on renters and on longtime homeowners who've made our community what it is today. We should have tried to do more to control the cost of government before we went to the [property] tax." "It is not a matter of win and lose," said Alderman Leslie Hairston, who represents the South Side's 5th Ward and voted yes on the budget. "We are running a city here. What we have to do is find ways to keep the city running and make improvements in the city." "It was really hard for me to vote yes; this was a tough vote," said Alderman Susan Sadlowski Garza, who represents the far South Side's 10th Ward and voted no. "We needed to look at alternative sources of revenue. The Progessive Caucus introduced several ideas, none of which appeared in the budget. None. I think we need to start working with Springfield to make some of these things happen. We need to start looking at increasing taxes on services." "My ward will be one of those wards that will receive some of the increases in the police officers that will be coming out," said Alderman Willie Cochran, who represents the 20th Ward also on the South Side and voted yes. "We need the new police officers to invest into our pension fund, but the state mandated, the government mandated, our courts mandated that we cover this amount–that $588 million." 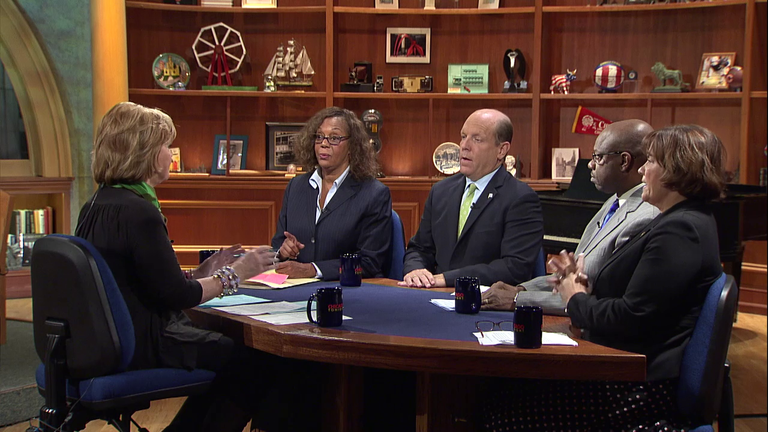 Watch the video to hear our full conversation with the aldermen. See how each alderman voted on Emanuel's budget. City Council voted almost unanimously Wednesday to approve a privately funded lakefront museum from “Star Wars” creator and film mogul George Lucas. "There's going to be a majority for finally dealing with our fiscal challenges," Mayor Rahm Emanuel said during an extended interview Tuesday with "Chicago Tonight."